Joy Bauer is married to Ian, and they are blessed with three of children their daughters Jesse and Ayden Jane, and son Cole. Moreover, the couple is spending more times with their children. Till now they are living happily. 1 Who is Joy Bauer? 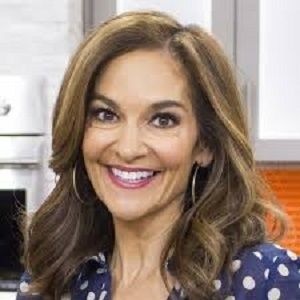 Joy Bauer is the host of NBC’s Health & Happiness, the founder of Nourish Snacks and the health and nutrition expert on The Today Show and is the author of 12 Best Sellers. She is a monthly columnist for Woman’s Day and the official nutritionist for the New York City Ballet. She was born on November 6, 1963, as Joy Lori Schloss in New York City, New York, USA. The information about his parents and siblings are unknown. She has an interest in hosting and Nutritionist from an early age. She attended the University of Maryland, College Park. Furthermore, She attended the New York University for science in nutrition for her Master’s degree. She started her career at Mount Sinai Medical Center in New York City as the clinical nutritionist with their neurosurgical team. At New York University School of Professional Studies, she also taught Anatomy & Physiology and Sports Nutrition. At Mount Sinai Medical Center, he also served as the Director for Nutrition for the Pediatric Cardiology Department. Joy created and implemented “Heart-Smart Kids,” a health program for underprivileged children living in Harlem, while at Mount Sinai, which she often says was one of the most rewarding experiences of her career. As well as, she served as a nutrition consultant for the Columbia Presbyterian Medical Center, where she supervised and designed its ongoing research in eating disorders and weight management. In 2007, she releases her book, “Joy Bauer’s Food Cures: Easy 4-Step Nutrition Programs for Improving Every Body”. she headed one of the largest nutrition centers in the country for close to two decades as the founder and CEO of Joy Bauer Nutrition. Moreover, Joy founded Nourish Snacks as a way to make healthy snacking easy and delicious in 2014. She has received several awards, including the National Media Excellence Award from the Academy of Nutrition and Dietetics in 2010. Also, in 2012, she has received the American Society of Nutrition Science. She has not been the part of any controversy and rumor as she is keeping her personal life secret from media and public. She earns a numerous amount of money from her work but keeping the information private. Her estimated net worth is about $10 million which she earns from her profession. She is an average looking woman with dark brown hair and with dark brown eyes. Besides that, she is 5 feet 7 inches tall with the body mass of 58 kg. She is active on Facebook with more than 129k followers, Twitter with more than 161k followers, and Instagram with more than 136k followers. Read also, the career, birth facts, family, childhood, relationship, net worth, and the bio of Nadine Samonte, Billy Crawford, Jhong Hilario, Camilla Dallerup. Jack Gleeson’s role in GOT made him more recognized but, decided to get permanently retired from acting after his work in GOT!